How to start a blog & run successfully? What about fashion blogs and fashion blogger? Which things need to consider for starting a style blog? How to become a beauty blogger? How to create a fashion website? How to become a style blogger? How does a fashion blogger make money? Let's check all the things you need to consider to become a fashion blogger professionally. 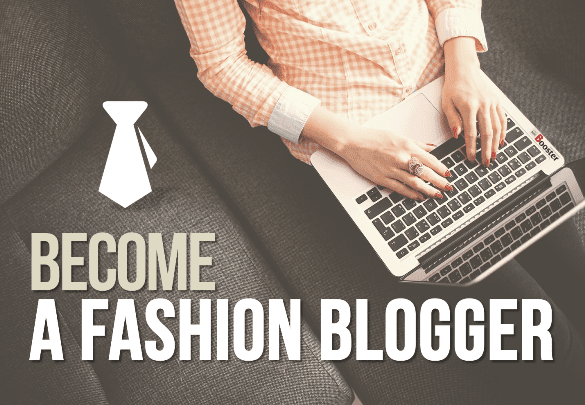 If you are very much passionate about fashion, you can share your views through blogs. If you are a content writer & love writing, this can shape your career excellently. As a fashion designer, I would suggest you create a fashion website, and you can turn your fashion blogs into a full-time career option. You can make handsome money through fashion blogging. If you see fashion blog examples that having better reputations, you may notice that the fashion blogs are slightly different from regular blogs. As every moment the fashion changes, you as fashion bloggers needed to be very much innovating in ideas. Writing fashion blogs requires innovative thinking that can make your blog outstanding. In the recent post I was talking about; unique blog ideas & topics that might help you. You should focus on writing evergreen blogs that can guide the people with their right clothing styles. Here I just listed the things you need to know for starting a style blog in a quick way since the fashion bloggers needed too many factors to consider while working in fashion industry. A particular fashion blogger knows how to be fashionable, how to create a fashion website & how to get started as a blogger to build themselves as a popular fashion blog. In the previous article, you have seen, and that makes you earn through your blogs. How to make your own fashion blog - Fashion blogging is redefining the personal style in a stylish way. As a fashion blogger, the only new things you have to do are dress yourself with different outfits and take photographs. Write interesting blogs on latest fashion and add the pictures you captured. You then upload your blogs and its high-quality content with your domain name. Then get connected with several people and followers through social networking sites. Keep on sharing your fashion blogs contents continuously. And the success is yours! 1. Write high-quality content for your fashion blog and make it famous. What do fashion bloggers write about - The most important thing is creating quality content. Unless you write a class blog, readers won’t stop by your site. So, if you want the readers to come back, you need to focus on quality content. In order to monetize the fashion blog, serve your audience a quality blog shipped with engaging content, attractive designs, and cool photos. Here are tips to bring them back to your fashion blog. 2. Find the perfect niche for your blog. The content which is different from everyone else always rocks. So, the first step is to set yourself an individual as a brand with creative ways. Decide what can make your blog different from any other fashion blog. Just define your passion in a fashionable way and choose the best subject that makes you write not only huge but also drives high traffic to your blog. You also need to read 10 Smart Ways to Find Your Profitable Niche if you are a newbie in blogging. 3. Decide the perfect blog name. Once you are ready with your creative, original, innovative but your own idea, generate the name of your blog. Your blog name is the online identity of a fashion blogger. It should be something different but easy to memorize. Pick the title that defines you and your niche. Try to give a catchy name to your fashion blog. If you have your own domain name, it becomes easier for people to find you. So, once you are ready with the blog name, consider buying your domain. Buying and registering your blog name as a domain name for your website is the first step towards BRANDING. 5. The essence of popularity: a high-quality content. The content of the fashion blog is very important. Focus on writing the creative and collectively a different content to each of your fashion blog. Let your personality shine throughout of the box via the content you delivering to your subscribers. Just note that high-quality content drive lots of visitors, but engaging content converts those visitors into regular followers. 6. Customize and personalize your fashion blog. 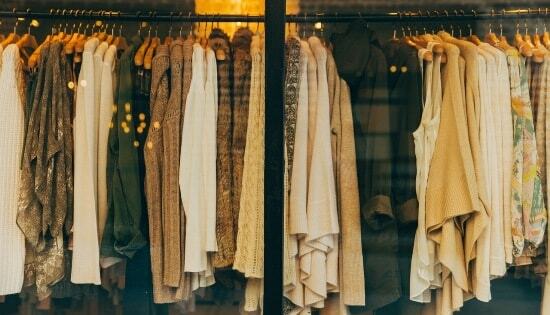 For starting a style blog, your fashion blogs need to be very personal. In order to build solid connections with your audience, it is very important to establish a personal connection. And this needs to focus on designing the blog user-friendly. Your audience is more interested to see your inner workings and what your ideas are about. It is thus becoming essential to creating a blog with your own fashion sense. 7. Photography can make your brand standout. The fashion photography is important. As this is a fashion blog, it is necessary to add quality photographs of the latest fashion trends, stylish clothes, trendy outfit ideas & pairings. It is really essential to broaden your budget and spend some bucks on a top quality DSLR camera and other accessories. With a quality camera, you can shot quality pictures and ultimately the pretty output help you bring quality traffic to your blog. 8. Build a regular writing habit. Only one or two posts is just not enough. Be consistent in posting the fresh, new, trendy and attractive contents on your fashion blog. Create your publishing calendar to make easier for the readers to read your blog. It is recommended not to publish too many blog posts or very few blog posts, instead keep consistency for posting your engaging writeups. 9. Get listed in a popular international brands. Once you have created a root for your blog, it is the time to grow and concentrate on building you as a brand. Here are some important points you should never lose solid. Build brand through social media: Facebook, Twitter, Instagram, Pinterest offers an excellent platform for publishing the fashion blogs. Monitor website traffic: Monitoring and analyzing the site’s traffic is essential. Google Analytics is a powerful tool to know who visit your site and what they look for. The tool also helps in counting the unique visitors for your blog. Create a press kit that gets publicity: This is yet very important thing you should focus on. Try to create the most professional and polished media press kit. To get listed in top fashion blogs you need to add your short resume to your blog or can add a small paragraph about yourself. Work with affiliates and brands: The ultimate aim of creating a fashion blog is to make money. And for this, it is necessary to reach out and apply to the affiliate programs. These brands and affiliate programs are the middlemen. They are the paths to connect your brands with the targeted audience. In order to monetize the fashion blog, you will have to choose the brand partners wisely. Advertise your brand: In order to reach more and more people, remain dependent only on the social networking platform is just not enough. In order to expand your brand, you need to advertise in public. For this, you can attain different fashion seminars where you can address there and can distribute the business cards. 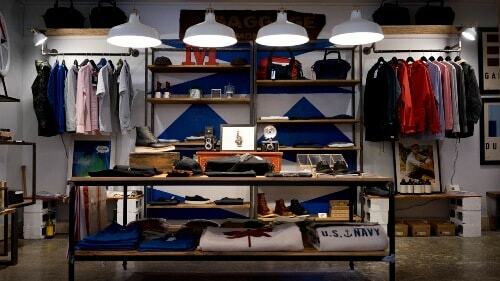 Make your fashion business aware offline too. Moreover, guest posting, commenting on the different blogs, joining local blogging network, etc. can also help you to reach the huge network. Growing your fashion business by branding through SEO: In order to get your content noticed by the search engine & to the target audience, you must think about SEO. The on-page SEO techniques are the most essential things to develop your brand and get your content noticed. Your fashion SEO requirements may also be completed by the web designer. Build a relationship with other bloggers: Fashion blogging is the world where you need to keep a good relationship with other bloggers. Similar mind kind of bloggers helps you drive extra traffic with less work. 10. Hire dedicated web designer. The look of the blog is extremely important. Along with compelling content, the blog design should be a catchy one. Fashion blogs need to concentrate more on design. So, it is recommended to hire the web designer professionally. This will assist you to build your blog more user-friendly, creative and interesting one. A dedicated web designer help to improve user interface when the visitor visits your site the first time. Your first impression should be great enough to cause him to subscribe to your newsletter. 11. Good marketing photos are so important for your fashion blog. Who takes fashion bloggers photos - Your fashion blog requires stunning photography. As discussed earlier, it is necessary to have quality photography devices like DSLR camera to shot best images. Though you are great in writing, you need to be very professional in taking standard photos of appealing outfits. For this either you can hire the professional photographer or can do it on your own. Always try to add new photos to your blog. The background of the photographs is equally important. Try to serve a unique fashion statement nestled with fresh pictures, fashionable outfits, and quality content. Becoming a top-notch fashion blogger takes a lot of hard work. The journey of a building fashion blogs is much harder than most blogger. It needs a different level of blogging altogether. Well, with the tips discussed above, will definitely let you lead as the fashion blogger. The guidelines stated above are extremely important to shape a bright career in fashion blogging. As a fashion blogger, you can make millions of dollars each year. The only thing you need to focus on quality blogging and out of the box thinking. Fashion blogging is the ultimate way to connect with an audience.